Sociology of Religion represents a documented introduction to the history of sociological thought as applied to religious phenomena. It examines both the substantive and functional definitions of religion that are more open, pluralistic, and not inscribed in a single explanatory horizon or within a single confessional perspective. The contributors' concerns are carefully written to show all sides of the argument. 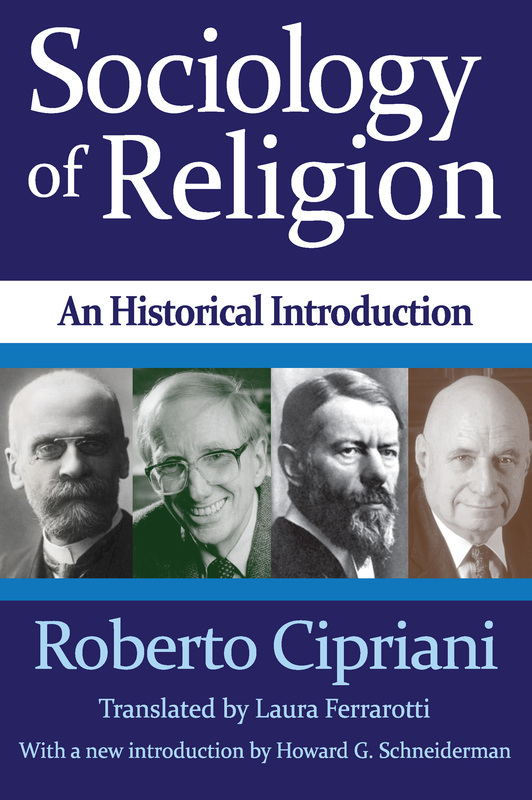 Roberto Cipriani argues for the simple definition that the sociology of religion is an application of sociological theories and methods to religious phenomena. Historically, close ties between sociology and the sociology of religion exist. The slow and uneven development of theory and methods affects the sociology of religion's development, but the latter has also benefited from increasing precision and scientific validity. Other sociological writers agree and disagree about different approaches. Some assume it is a militantly confessional or anti-confessional; others remain neutral within their work.